The following is a list of things that I would like to do someday. Some are more attainable or likely than others. You can decide for yourself which ones those are. These aren’t meant to be the “if I were rich” dreams, and although some of them definitely require some funds, they are all relatively “do-able”. Travel to Scotland. I love all things Scotland, especially, as noted before, the Outlander series by Diana Gabaldon. I would actually want to tour some of the locations in the book as part of my visit. Included destinations on this trip would be Wales, Ireland Cornwall, and now that someone from Jersey read one of my posts, I need to go there too. And Guernsey. I want to keep chickens. Maybe 5-6, possibly co-parenting with a good friend and neighbor. This would be for eggs–not meat. Murphy the Giant Puppy would need to grow up a bit, and that garage needs finishing first. I want to learn how to crochet. I love knitting, and it is my preferred “needle craft”, however, there are just some things you can make better/easier with a crochet hook, like baskets. I even have a friend willing to teach me. I want to spin my dog’s fur and knit with it. This is actually a thing–it’s called chiengora. I mean, my goodness–why waste all of that soft, soft fur? I would settle for just spinning; I have a friend who knows how and I bet I could get her to teach me. I would like to write a book. Probably set in Scotland. Probably with bodices being ripped and broody Highlanders in kilts. I want to get my PhD. Not sure in what just yet. My first choices would be psychology or history, but I would need master’s degrees in those fields first. My master’s is in education administration–but I can’t really picture myself as an administrator. I want to spend a week at a spa–the type that are for pampering, wellness, and relaxation. I want to go on a real honeymoon with my husband–not one the consists of driving home from our wedding in 90+ degree weather with the heater blasting so as not to overheat the car. One that does not include being left as collateral with two puppies at a gas station in Garryowen, MT because our bank account was overdrawn and we had already filled up the tank. My husband had to drive down the road to get money out of an ATM at a casino. The two gentlemen working there were so kind, though…they even provided a bowl of water for my pups while I waited. I would like to vacation with my sisters–to somewhere like the barrier islands of South Carolina, or on Lake Michigan. Just rent a cottage or beach house for a few days or a week. I would like to find a physical activity that becomes as necessary to me a breathing. One that I would actually do on vacation. Yoga? Dance? Clogging? Running (ha!)? I don’t know. 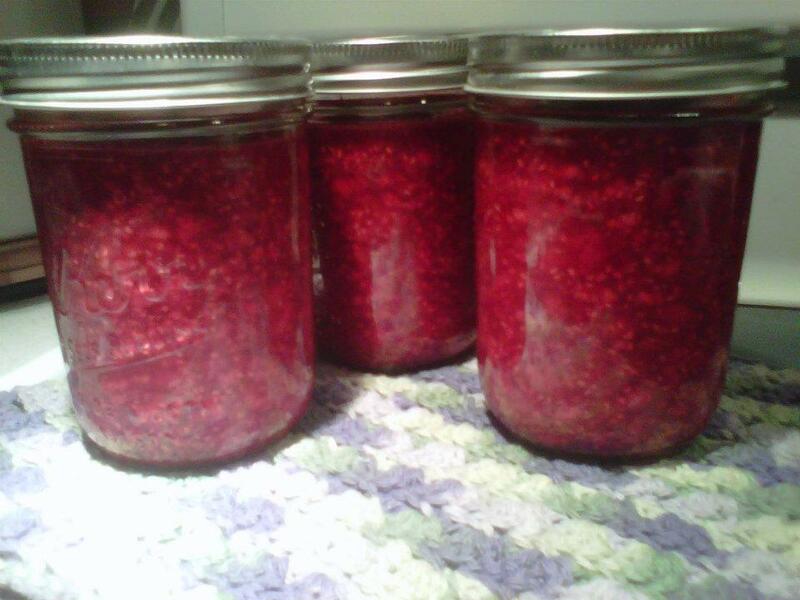 All I know is that none of my attempts thus far have yielded long-term commitment. Knitting doesn’t burn too many calories. Gardening does, but is very seasonal. I’d like to meet the President. When I went to Washington DC with other newly Nationally Board Certified teachers, we thought there might be a chance. I mean, he was in town, and we were at the White House. It would have been a great demonstration of his commitment to education had he just stuck his head in the room and said, “Hi! Love you guys!”. We would have been happy. Arne Duncan was cool, but it wasn’t the same. That was probably the only opportunity I will ever have in my life to meet a president. Sigh. 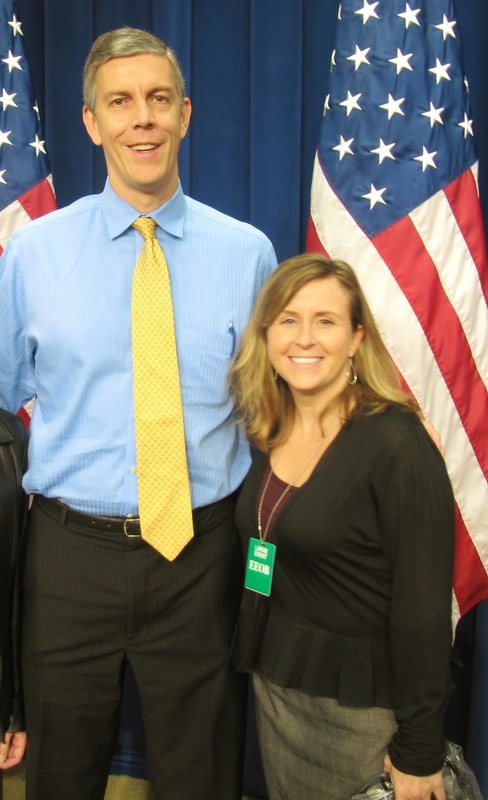 Arne Duncan is very tall. There will likely be a Part Deux of this list, too.